Who loves those tangled pale looking hair strands and flying ends? Well, obviously no one in this world. The environmental factors are the root cause to this overwhelming problem and they are getting worse day by day. So it’s never too late to start a new beginning with an ayurvedic roadmap. The long drawn secrets to having thicker hair volume are now compiled into this informative post. Aloe Vera can do wonders if you use it right. This natural plant packs in some serious elements that control hair fall. The ever-wanted moisture and perfect style lock are attainable with the help of aloe vera. Here’s how to use it: Squeeze the gel within the aloe vera and put it up on your palm. Gently massage it to your scalp and let it stay there for 2 hours. Now do a chumpy with a fine-quality soothing shampoo and rinse your hair with distilled water (if pure water is not available in your tap). Now you may be fond of using shampoo the every other day, but did you know it’s not good for your hair? The oily hair type however needs a daily chumpy but for normal hair; daily shampoos are A NO GO. Conditioner plays a vital role since it makes your hair more adjustable and bouncier. Just be sure to apply your conditioner 2 inches away from your scalp and wash it properly so that none of its sticky substance stays there. We do not recommend an overnight conditioning, since a conditioner does its job right after 10-15 minutes and an overnight application dries the hair to a very distant intensity. People often complaint about dry hair in the morning regardless of using hair conditioners, this is the overlooked reason after all. We recommend using natural oils for dry hair instead of daily shampoo washes. Bhringraj is quite effective at soothing the scalp and nourishing each strand right from their roots. If applied the right way, bhringraj also develops new hair follicles which gives sufficient volume to your damaged hair. It is easily available in big department stores; however the paste could also be made at home. The process is quite simple: all you need to do is dry up the Bhringraj leaves and grind them until the leaves convert into powder. Now heat the powder form with coconut hair oil. Once it dries up and ready to apply, put the paste onto your hair scalp directly with your hand or brush. Your roots will absorb the entire paste in just 40 minutes. Now wash and rinse your hair properly. Amla is the good old traditional fruit being used for ages. 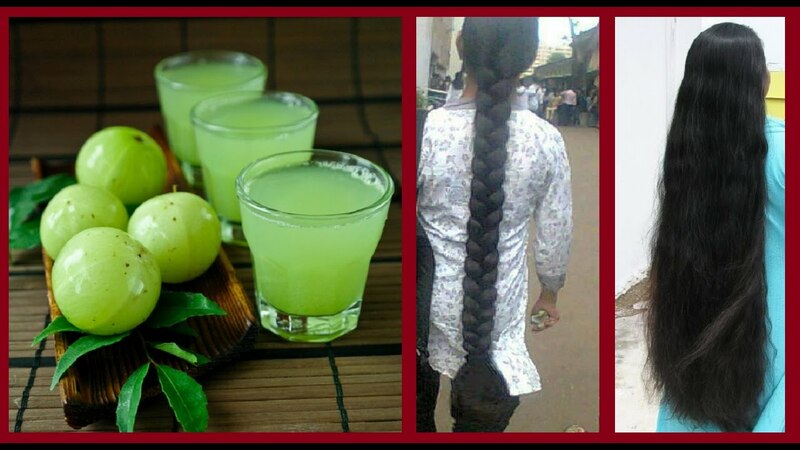 Massage your hair scalp with amla oil to boost the blood flow. Your follicles are deeply nourished which enhances the overall hair growth. The excessive amount of grease that has been troubling you ever since is easily dissolved and removed from the follicles right after your first massage. The goodness of Vitamin C packed in Amla is a fine resource to obtaining thicker hair volume you’ve been wanting from so long. Fenugreek seeds contain fine amount of Vitamin A. folic acid, Vitamin K, Vitamin K, calcium, iron, potassium, and protein that help you prevent hair loss and restore hair volume to each strand. You may either apply the paste to your hair for around 2 hours or eat it in raw form for best results. Hope you got the perfect solutions to make your hair thick.